Part 1 What is RM/RMVB Format? The RMVB format stands for RealMedia Variable Bitrate, while RM refers to the RealMedia format with constant bitrate. They are used as the file extension of RealMedia Multimedia Digital Container Format created by RealNetworks. The main advantage of RM/RMVB is that it can make video files smaller without sacrificing quality. For this reason, they have become popular for streaming content over the Internet, especially Asian anime clips and movies. But there are many disadvantage of RM/RMVB format such as incompatibility to multimedia players, low audio quality and inability to run smoothly. Below are the codec suitable for RMVB files. You can download and take a try. Real Alternative enables you to play RM/RMVB files without installing RealPlayer or RealOne Player. It is a codec pack created for playing RealMedia files on Microsoft Windows operating systems. RealMedia Splitter allows you to play RealNetworks audio/video files using Windows Media Player. It is recommended to install RealPlayer, RealOne Player or Real Alternative first. • RealPlayer: The media player is developed by RealNetworks, which is compatible with numerous container file formats of the multimedia realm, extremely RM/RMVB format. • VLC Media Player: VLC is a free and open source cross-platform multimedia player for various audio and video formats (MPEG-1, MPEG-2, MPEG-4, DivX, mp3, ogg) as well as DVDs, VCDs, and various streaming protocols. It enables playback RMVB smoothly. 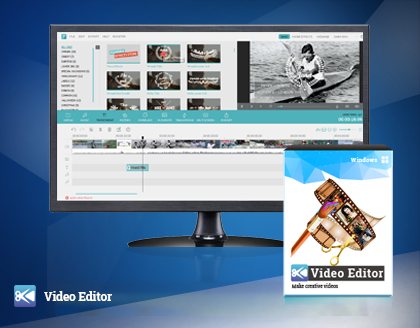 • Video Converter Ultimate: This software program supports over 150 popular video/audio format. So that you can play your RM/RMVB videos with it. Another important feature is that it allows you to convert RMVB to other format for playing on other devices. As we mentioned above, Video Converter Ultimate can not only play the RMVB videos, but also offers you the ability to convert RMVB video to almost all types of video formats including MOV, AVI, MP4, M4V, VOB, OGV, WMV, FLV, MKV, SWF, ASF, etc. Equipped with a simple-to-use interface, various video output settings, fast file conversion speed. Then you can easily convert RMVB videos to the file type compatible with your devices. Video Converter Ultimate enables you to convert RM/RMVB to various video format like MP4, AVI, MOV,etc. Step 1. Download the Video Converter Ultimate, then click "Add Files" to import your RM/RMVB files. Step 2. On the right of the window, press the drop-down icon to select your desired format which compatibility with your devices. Or you can directly find your device on "Device" tab. Step 3. Make video settings by click the "Settings" icon. Then click on the blue "Convert" button.